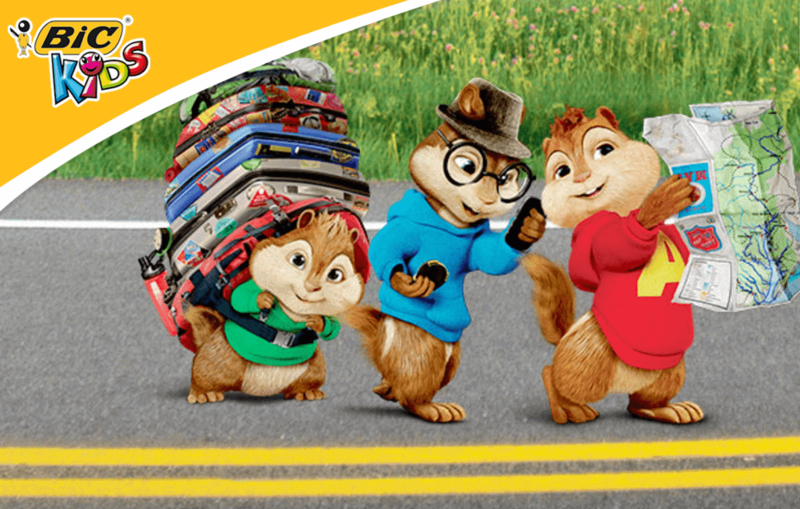 Has your household caught onto the Alvin and The Chipmunks excitement yet? The BIC Kids team has! 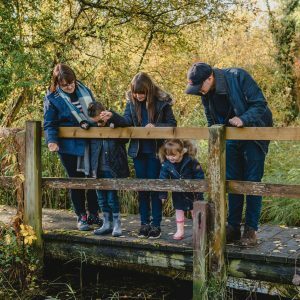 Because they love these furry little guys so much they are offering an amazing prize – An ultimate family road trip for four to Spain! Don’t miss your chance to #win the ultimate family road trip for four to Spain with BIC get your entries in before midnight on Sunday (4th September 2016, 23.59pm). Simply head over to http://alvin.bickids.co.uk/en/competition and answer the question “What colour is Alvin’s top?” for your chance to win! The first randomly selected Entrant will be the winner of the first prize, being a road trip to Spain for a family of four (4) on dates to be confirmed on closure of the draw (“First Prize”). A further twenty (20) randomly selected Entrants will each win an Alvin and The Chipmunks Road Chip DVD (“Runners Up Prize”). One-way flights from Barcelona to London, including taxes, fees and one item of checked luggage per person; Travel insurance. 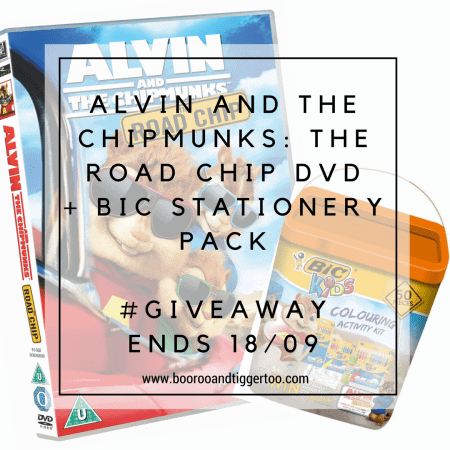 If a trip to Spain wasn’t enough BiC have also offered us have three Alvin and The Chipmunks: The Road Chip DVDs and BIC Stationery packs to giveaway. I have six little chipmunks or Munchkins as I call them, they are my grand children & I would keep this at my house for them to use when they visit. We love doing crafting things together & my kitchen wall is covered in paintings, pictures, paper plate faces etc. He has attende schoo, excited and has calmed down and settled in. He deserves to enjoy his weekends off with some drawing and colouring in etc. Because he starts nursery in two weeks time and I think having his set would make a wonderful gift to him for being such a big boy! They love Alvin and they do so well at school,they deserve a prize. My little boy loves chipmunks & we’ve just moved house/nursery and he’s not made a fuss once! This would be a lovely treat for him. My kids love Alvin and the Chipmunks and have both been really well behaved all summer so they deserve a back to school treat! My son adores Alvin and the Chipmunks. He has just started back to school and he absolutely love’s it, he’s been waking up early every morning so excited to go to school and is dying to learn new things, he really deserves this as he is so hard working. My kids love Alvin and the Chipmunks and a new dvd would be a lovely surprise for the twins starting nursery school and their big sister starting P3. My niece starts school soon and woukd love this gift set. My two love The Chipmunks, they would enjoy this! my kids have all been good over the holiday and im sure they would love one of these ! They love Alvin, this would fab for them to take to school! This woujld such a great prize to win! My grandson is starting school and this would be a lovely present for him as he loves Alvin and the Chipmunks. I would love my daughter to win as she loves Alvin and the chipmunks and was too poorly to watch it at the cinema when it was out. My daughter live s Alvin and the Chipmunks, and she loves drawing and colouring, it’s her favourite hobby. They deserve a treat for being good during the Summer holidays, and it’s something they can take with them for school. Since i was made redundant they havent had many treats, and they really look after and appreciate their stuff, fingers crossed. My little girl is always so helpful and does little things to help around the house, she’d love a little treat! My daughter would love to win this as she loves drawing and colouring so this would keep her amused for hours on end. Please I beg you I need some entertainment for my kids they are turning me grey haha joking but school is next week hurray! My little ones would love to win this. They’ve both been playing nicely together for most of the summer holidays. My daughter will love it as she is always so good for mummy. My four chipmunks love watching cartoon films with animals in and with some music too they will be very entertained! My daughter loves drawing and she loves the chipmunks so this is perfect. They deserve it as they love the Alvin and the chipmunks films plus we have so much merchandise too. I have three little chipmunks, my eldest is like Simon, my youngest like Alvin and middle one is like Theadore. The resemblance in their personalities is uncanny. I definitley think my little three Chipmunks deserve to win for looking after their poorly mummy throughout her operations and understanding that I can’t do as much as other mummys do. My kids love Alvin and the Chipmunks and I think they deserve a back to school treat. I would love to treat my eldest Grand-Daughter with Alvin and the chipmunks, she starts “Big School” tomorrow, thank you. After a few weeks of settling in, my little chipmunk starts Pre-school proper on Thursday, which also happens to be his 3rd birthday so I’m sure he’d love a treat from Alvin and the crew from BIC. I would love to treat the kids for being good over the summer. My Grandchildren live Alvin and the Chipmunks as did their mothers before them. I love having them to stay and always like to treat them because they are so good. My two probably don’t deserve it after the summer I’ve had .. perhaps I could use it as bribery? My Grandsons would love these and they have been ever so good all summer. My chipmunks are dedicated fans. They know all the songs and watch the films one after another every day after school. They would be amazed with this goodie bag!!! Because we love the Chipmunks! they have sat through the squeakquel more than 20 times and for me that shows committment! My God Children are amazing. The youngest 5 supports his autistic brother 9 and it’s so amazing to see. They play and laugh together and make me smile everyday. The are chipmunk mad so am always happy to sing along to the dvds with them. They each have a favourite one Alvin on Simon kind of reflecting the personalities. My grandkids love the chipmunks and this would keep the little monkeys occupied for a while when I’m on babysitting duty! Would like to win this for my son because he has done really well lately and he loves drawing so it would be a great treat for him. Because my kids are adorable, well behaved and deserve a bit of a treat now and then. I would love to win this as a stocking filler for my youngest who has just tried really hard with his handwriting homework. We love all these movies and this prize sounds amazing!!!! as she is my little dance star, got herself a trophy from dance class the other day, and i was a very proud mummy! 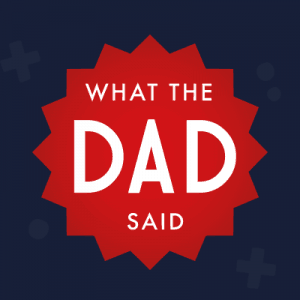 My son would love because he’s a star and deserves it for working hard at school. Because it’ll keep them entertained for hours and stop them getting up to mischief! My daughter is a big Alvinnnnnn fan! My daughter deserves this for trying her hardest in her first year of primary school and continuing to do so. This will keep my little chipmunk entertained when the dark nights come in soon. My two young nieces would love this. They are so good and love sitting down to colour. This is my kiddies favourite movie. Would love to win for them. My little boy started reception this year. He would love this. my son loves art and the chipmunks – this is the perfect combination! My neices and nephew absolutely live the chipmunks, and colouring, I mean, who doesn’t! Because they are nutty and full of fun. I think my nieces would love the Alvin packs. She loves them as much as I used to do!! She has just started full time school and I love to give her little surprises for trying so hard. My grandson started school last week and he has Alvin saved on the tv planner as he loves watching it over and over again. As they can just as mischievous as alvin, as smart as Simon and as cute as theodore! My kids love Alvin and the Chipmunks. This would be ideal for my son’s Birthday. Because my nephew would think I was the best Aunt ever! Kids love the chipmunks so much so that sometimes I think that my cheeky monkeys are turning into Chipmunks! my kids love alvin and the chipmonks, my daughter Leah is just like alvin, always causing trouble, Amy is simon, and hollie is a cute little Theodore! Alvin and the Chipmunks is my son’s favourite film and winning this would be such a great childhood memory he would never forget! My kids love Alvin and the Chipmunks so much so the names they offered up for their baby brother were ‘Alvin, Simon or Theodore’!!!! Brilliant films we’ve watched again and again! because they’ve all been great. They’ve been doing really well at school so far. My little one is really starting to enjoy drawing and trying to copy what we write and draw too, so this would create a lot of excitement in our household. My little man has been a good boy whilst his daddy was away, so he deserves a treat. I struggle on my own because I have reduced mobility, but he helps me how he can and is barely old enough to understand, hell be 3 in December. I’d love this for my little granddaughter. She has just started school. She has been such a good little girl and settled in so well making lots of friends and being supportive of others that are not quite as confident. 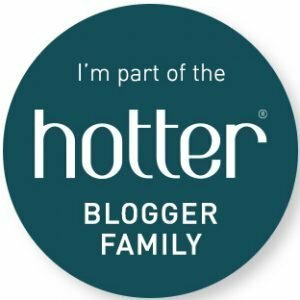 My 2 gorgeous girlies definitely do deserve this fabulous prize! They both have medical issues and are constantly in huge amounts of pain and feeling very poorly, resulting in lots of time off work. They have both been back in school 2 weeks and are coping wonderfully well and we are so proud of them! for helping look after his baby sister – always keen to get involved and be a good big brother. She was so good on our road trip to Spain this summer without complaining once, she deserves a treat. this would make them so happy! My great niece is diabetic and so she doesn’t get that many daily treats; but this would be a major treat for her. She is also very artistic and loves to draw. My nephew would love this. He has just started school and it would be lovely for him. It would be a really great gift for my brilliant daughter! 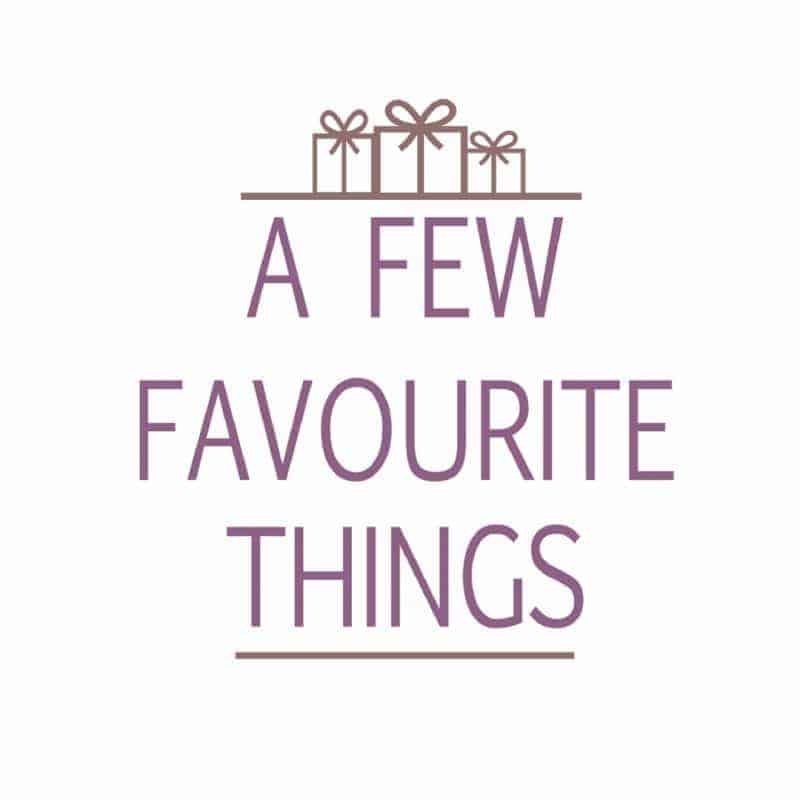 My little chipmunks need a special treat, there little sister has been teething and taking up a lot of my time, they have been super and made things a little easier for me. My 7 year old Daughter finally had enough courage to give peddling all by herself ago this weekend! She was so proud of herself and felt very grown up, I felt very proud too! My youngest of my 3 kids deserves it because since june she has been ill and in and out of hospital battling an reaccuring infection and she may be admitted again in the next few days, she is obsessed with Alvin and the Chipmunks. My other 2 kids would enjoy it too.